Caption slip reads: "Photographer: Wyman. Date: 1953-12-18. Reporter: Cowles. Assignment: Shrine Christmas (Al Malaikah). 25: Santa Claus passes out presents to youngsters at Al Malaikah Shrine Temple's annual Christmas party. 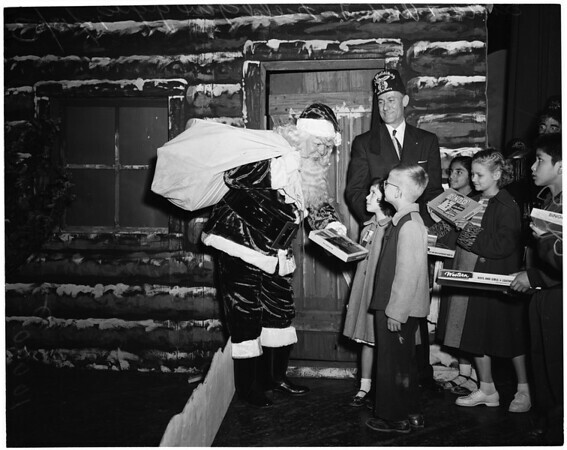 52: Santa Claus Arch L. Field, potentate of Al Malaikah Shrine Temple, and children receiving presents."